I popped over to Stevenage this afternoon. I had to collect my coat which I left at Lost Ark Games after my visit last Sunday when I played a game of Bolt Action. I happened across a branch of The Works which appeared to have a larger book section than my local branch so I had a quick look. 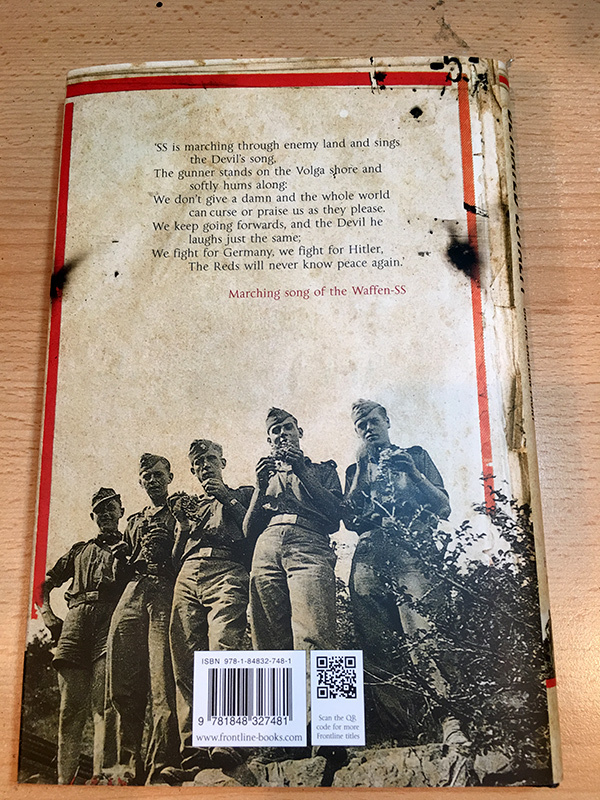 I walked out with a copy of “Lost Honour, Betrayed Loyalty: The Memoir of a Waffen SS Soldier on the Eastern Front“. I say ‘walked out’ I did pay for it! 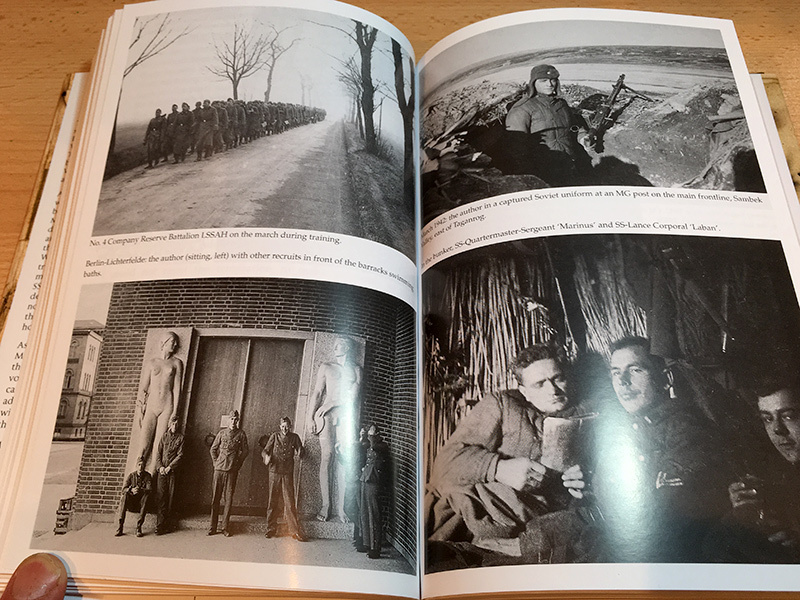 The book is by Herbert Maegar and tells the story of his service in the 1st SS Panzer Division “Liebstandarte Adolf Hitler“. 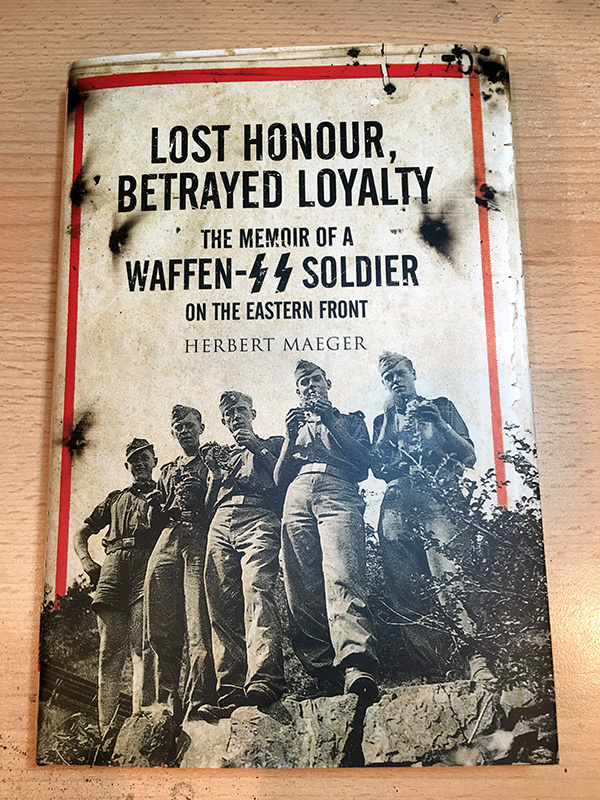 Maegar was an 18-year-old Belgian when he was blackmailed into volunteering for the Waffen SS in 1941 to save his mother from a concentration camp. 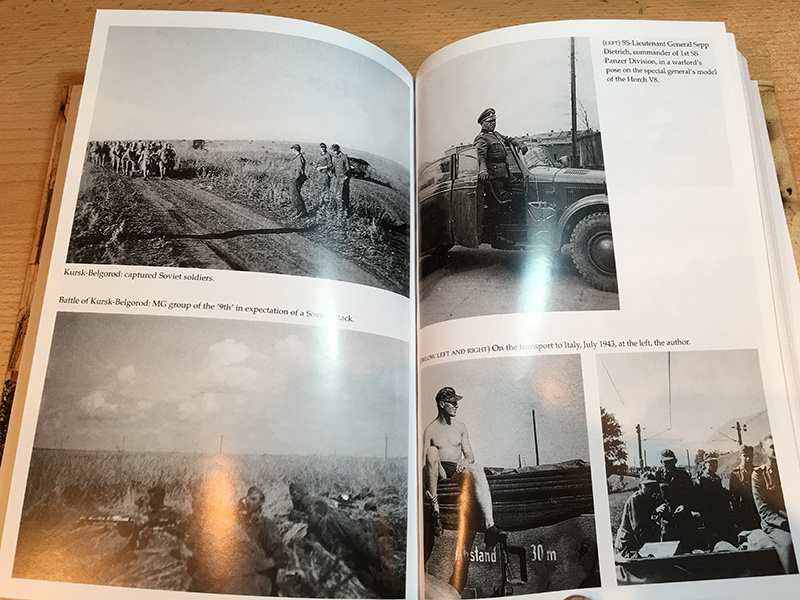 After training he was posted as a driver to the Eastern Front where he saw action at Kharkov & Kursk. In 1944 he was transferred for training as an SS paramedic but after two months was sent for officer training. He was overheard making a defeatist remark and was sent to the SS penal brigade Dirlewanger on the Oder front. He was captured by Russian troops in May 1945 and volunteered to serve in a Soviet prison camp infirmary. His early release was assisted by a Russian female doctor. The Works seems to specialise in remaindered or cut-price books and this £25 volume cost me £6.